At the start of the long school summer holidays or just before children break up for their Christmas holidays I tend to get asked the question whether a father can stop a mother taking their child on holiday. A typical Manchester children solicitor’s reply is ‘that it all depends’ and that’s not a cop out as when answering children law legal questions you need all the facts to be able to give an accurate answer. Does the mother plan to take the child on holiday abroad and, if so, for how long? Does the child already know about the proposed holiday? Do they want to go on the holiday? 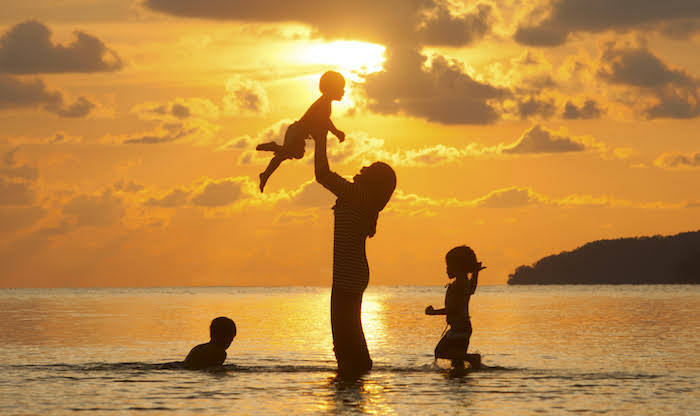 If a mother has a court order saying that she is a primary carer of the child (such as a custody order, residence order or child arrangements order) then unless there are any other types of court order in place to stop foreign holidays then she will be able to take the child on holiday for a period of up to 4 weeks without first having to get the permission of the father or anyone else with parental responsibility for the child. If a father has a really genuine objection to a mother taking their child on holiday abroad they could still apply to court for a specific issue order or prohibited steps order to try and stop the holiday from taking place. The court would make a decision based on what the court thought was in the best interests of the child. If a mother takes her child abroad on holiday without the father’s agreement or court order then she might be guilty of the offence of Child Abduction in the eyes of the Court. Nowadays most parents don’t have a court order for custody or residence or a child arrangements order. That is because the court is normally reluctant to make a children court order unless parents can’t agree on the day to day care arrangements for their child at the time of their separation or divorce. That means if either parent wants to take the child on holiday to a foreign country they need the other parent’s agreement or a court order. It is important to put your agreement in writing so both parents know what has been agreed to. If a father objects to a mother taking a child on holiday in England then it is often because it will impact on their contact time with the child or the child will miss an important paternal family celebration, such as a grandparent’s ruby wedding party. If there are existing children court orders in place it may be necessary for the mother to apply to court to allow her to go on holiday with the child because, for example, the court order says father is to have contact every Saturday and she plans to go on holiday for a fortnight. Whether or not there are existing court orders in place the father could apply to court for a specific issue or prohibited steps order to stop the holiday from taking place or to ask the court for additional contact to make up for the time missed with the child during the holiday. Should I object to my child going on holiday? That is always a difficult question for a Manchester children solicitor to answer as so much depends on the reasons why you oppose the holiday and whether you can reach a compromise with the mother. Sometimes the fears of child abduction are such that a father has no alternative but to make a court application to stop the holiday. At other times children solicitor negotiations can sort out fair holiday and contact arrangements without needing to make a court application.